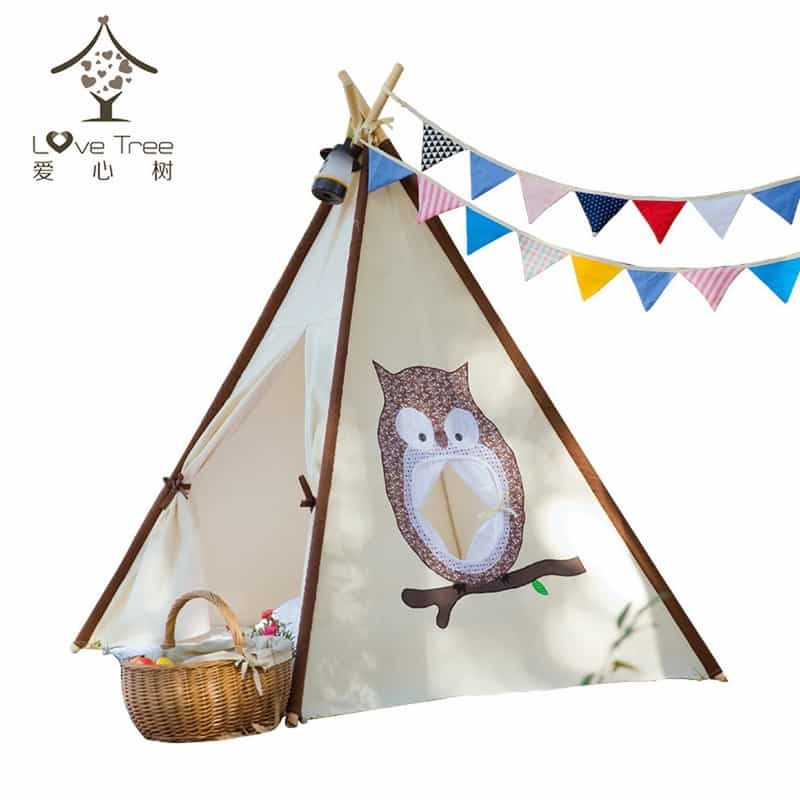 Teepee Tents are so in right now as the newest and latest play-ground ideas and play activity for kids. 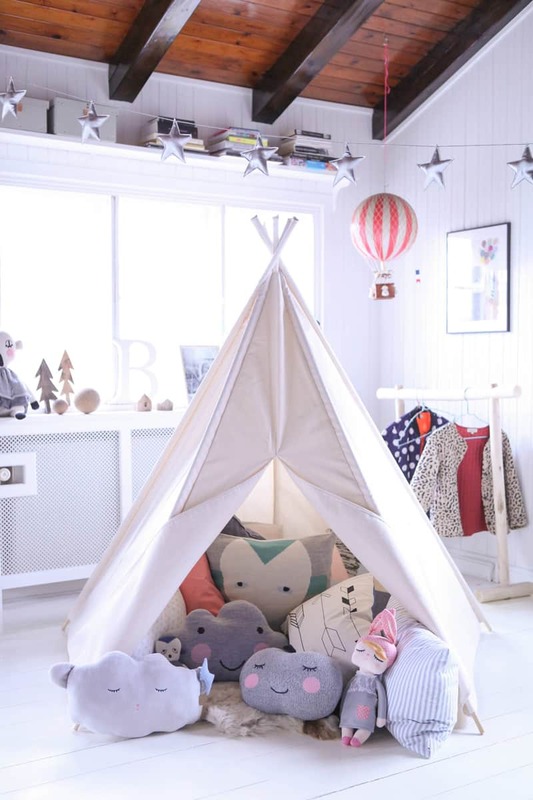 Teepee tents can be considered as one of the best toys available out there in the market for kids. It is an interesting play activity for kids and you can think of purchasing one for your kid without any doubt on your mind. Everyone needs a little space just for themselves. Even kids. 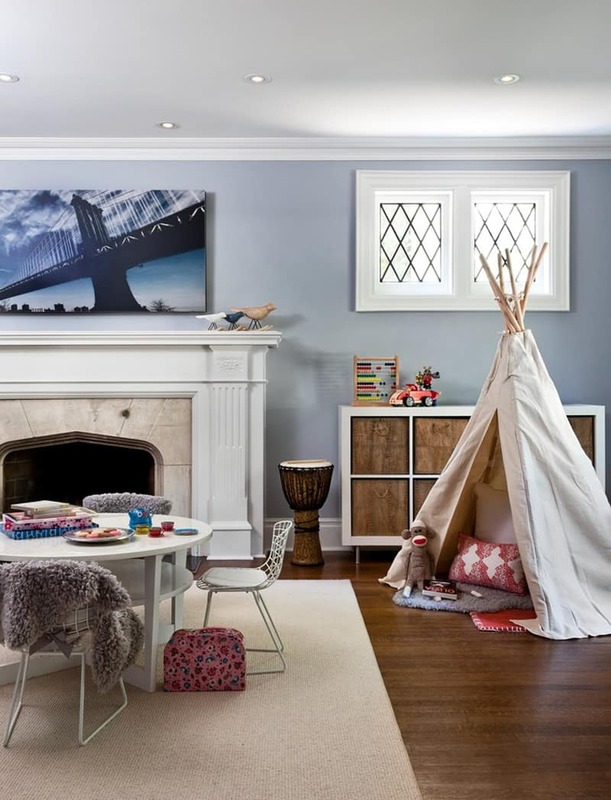 Expand the playspace – A softer than soft rug inside the teepee is one thing but when it spills out into the room, the space is far more user friendly for a game that requires room to move, or for when your child has friends over. 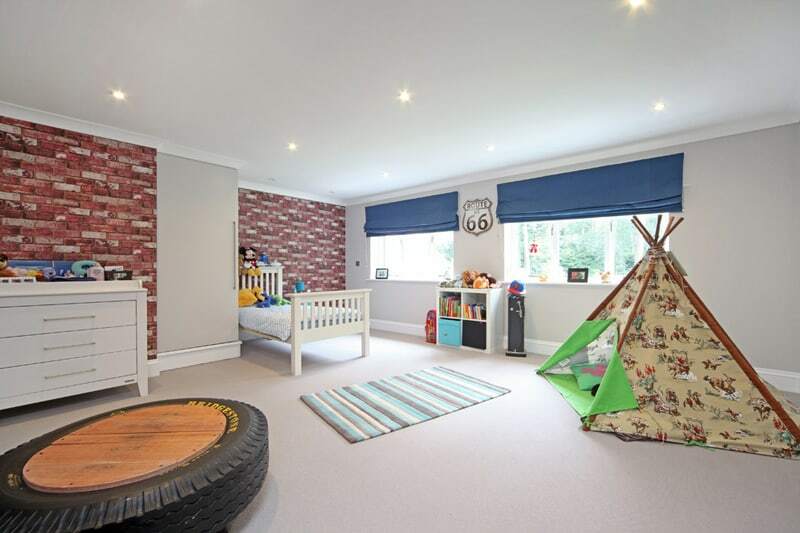 Kids love cosy spaces, especially if they’re hidden away from the rest of the house. 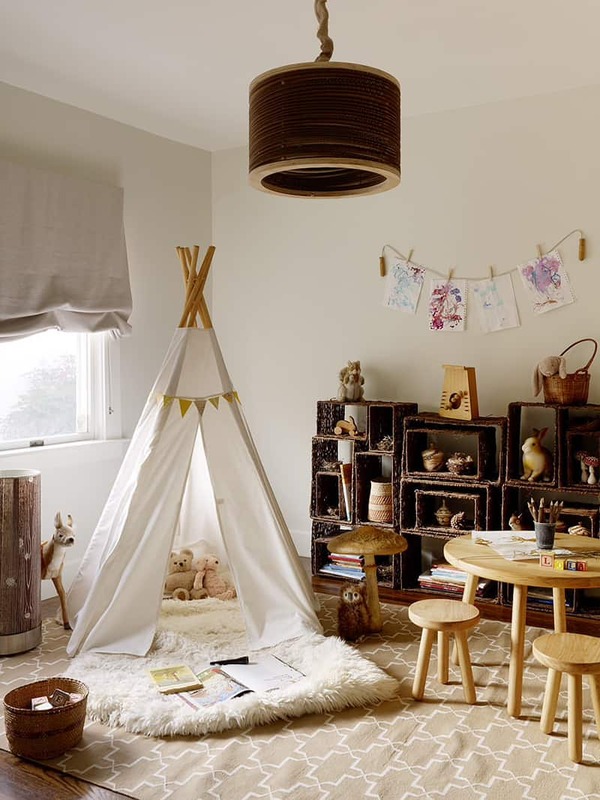 A sheepskin in a teepee is a prime spot for reading and playing. Encourage the tent to be a permanent home for his or her favourite toys, and you might be surprised how much more use it gets. They can be refereed to and spelled numerous ways such as tipee, tee pee, tepee tent and tipi tents. 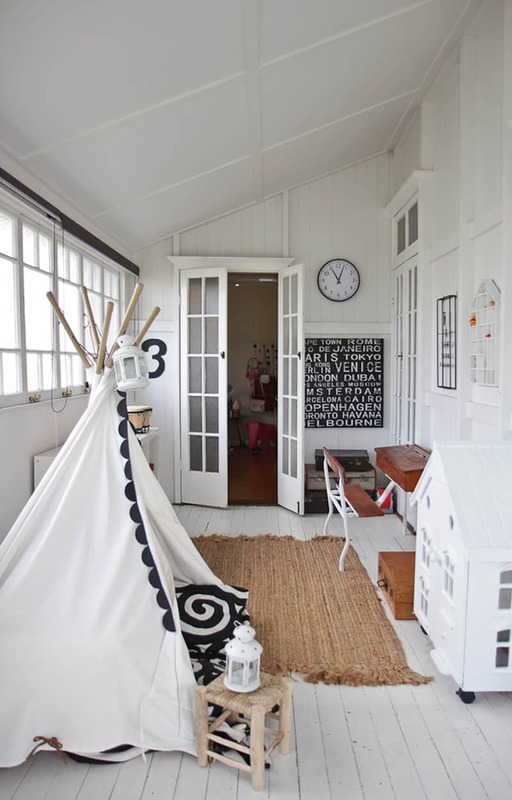 Most kids teepees include a window to look out from. A tipi (also tepee or teepee) is a conical tent, traditionally made of animal skins upon wooden poles. A tipi is distinguished from other conical tents by the smoke flaps at the top of the structure. You are looking for a perfect gift for your little ones? 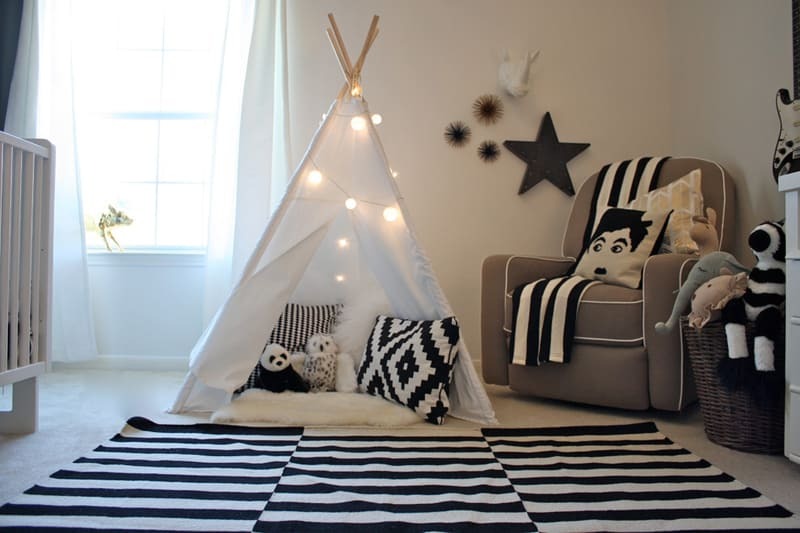 See how to make a teepee or buy one for your little one! 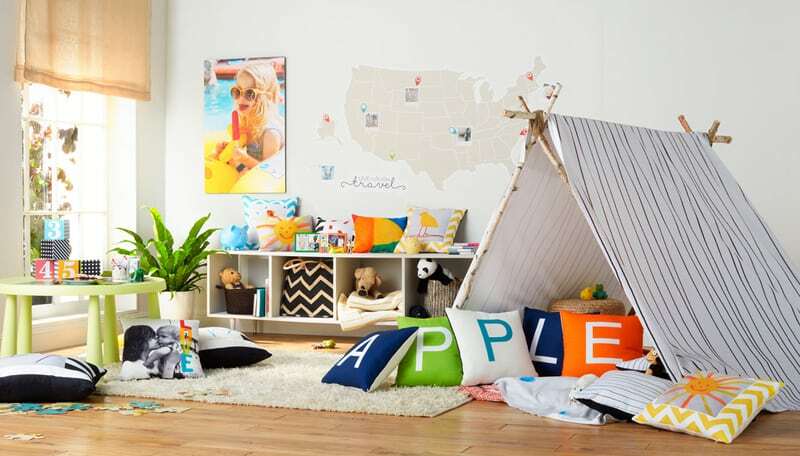 Do your kids love to build forts out of blanket and cushions? Do your children love a private place to call their own (reading, drawing, playing with toys …)? Then is Teepee time! 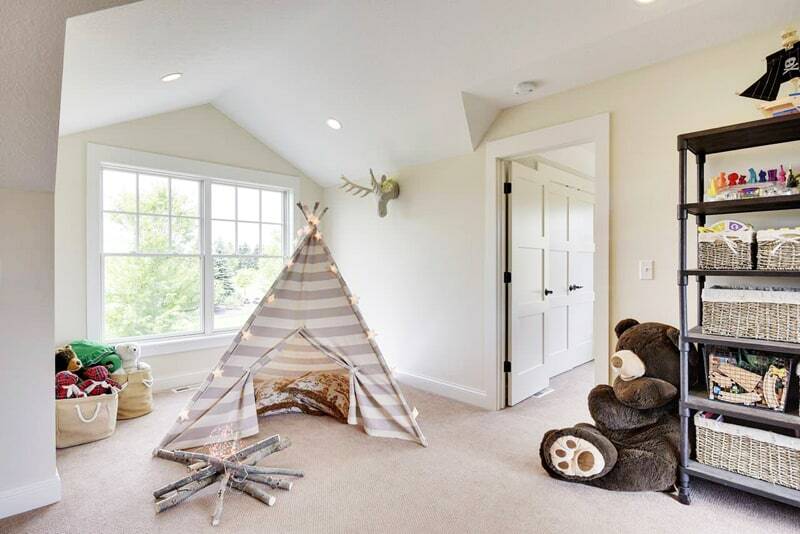 So why are teepees so popular for children? Teepee play tent serve many purposes; they provide kids wit that ‘good ole cubby house feeling’, they are a cozy place for kids to play (and hide), you can lye in a childrens teepee with your children and read stories and it’s great when you have kids over to play altogether. 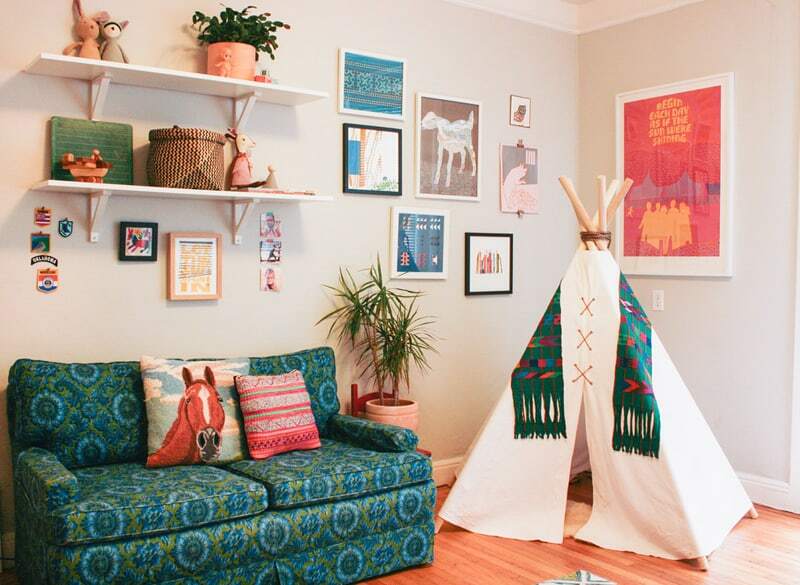 If you’re living in a rental property or don’t want to commit to a built-in book nook, getting your DIY on and making a teepee (or buying one if you’re not handy with a sewing machine) is a great alternative. The portable tents make the perfect reading nooks as they’re cosy, playful and will make story time feel like an adventure, so even the most reluctant of pint-sized readers are sure to fight for a spot inside. A teepee tent has the potential to serve many different purposes. It can be considered as the best method available to provide an ole cubby house feeling to the kids. It can also be considered as a cozy place available for the kids to hide and play. Parents can also lye inside the teepee tent with their kids and spend time by reading stories. 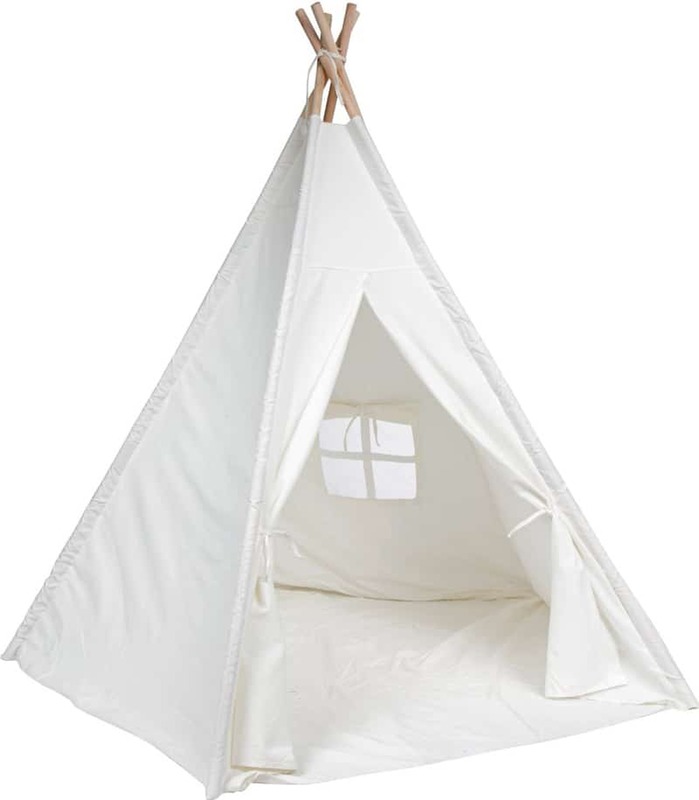 What to look for when buying a Kids Teepee Tent? 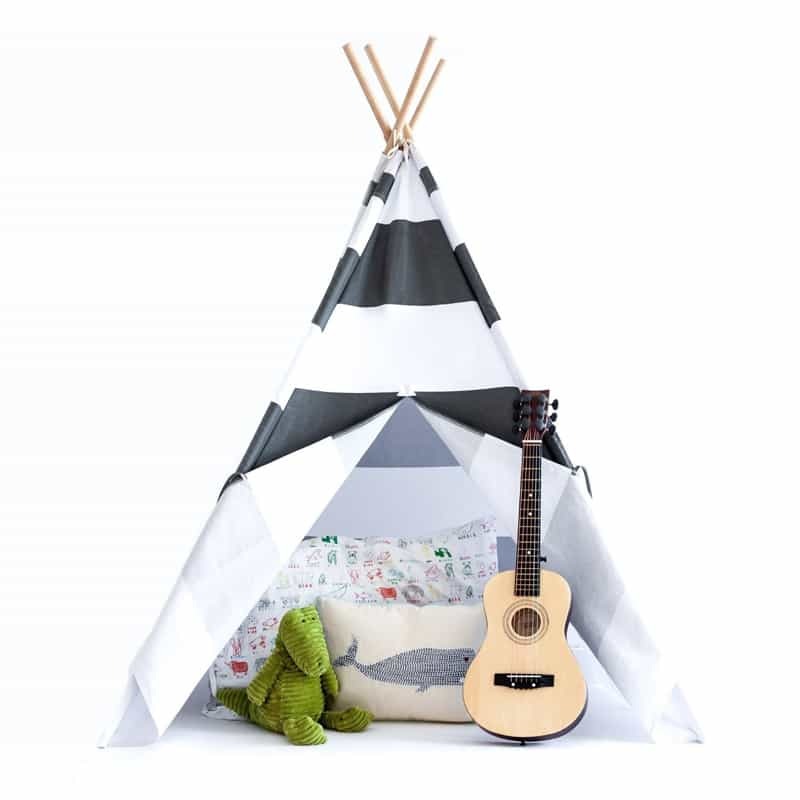 Space: All of these different types of childs teepee come in different sizes so you need to consider your space requirement. 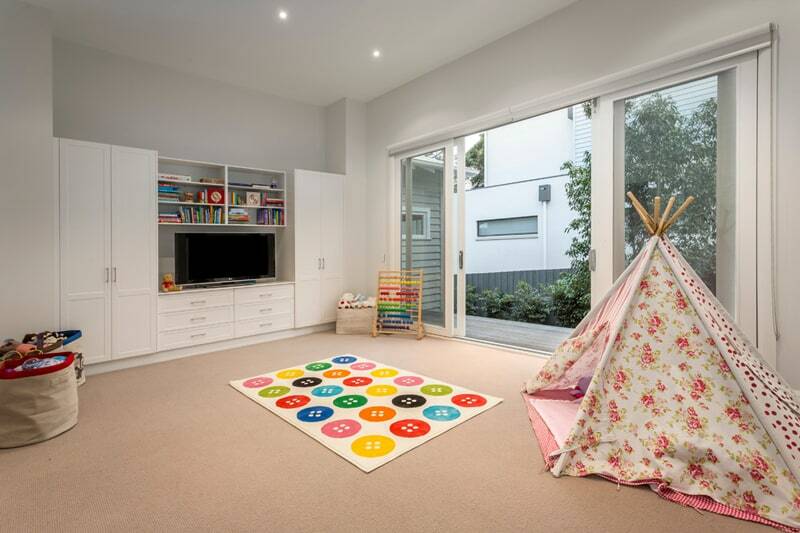 What is your room capacity, will it be placed in your child’s bedroom, in the playroom or in the living room. 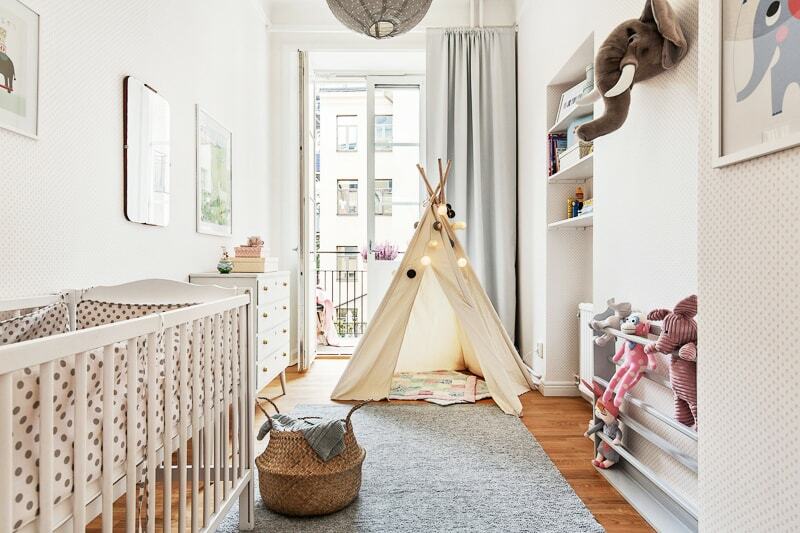 My personal preference is to buy a larger teepee that can accommodate either yourself (to read stories to your children) or multiple children at once. Outdoor Teepee or Indoor Teepee? This needs to be considered as you can see above, not all tipee tents are made from the same material. Design & Features: Their designs create a fun place for play for your kids. As tepees can be placed almost anywhere, oftentimes they are fashioned indoors but possibilities of outdoor use is sure for the items we will mention below. Features are likeable enough with different choices of charm and style that makes it exciting to take your pick. 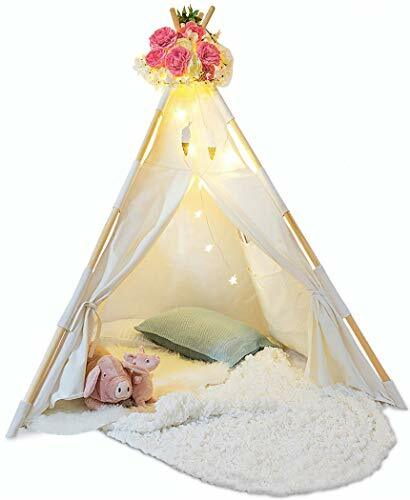 For Both Babies & Kids: You’ll need to read more about each specific product as some do come with extra accessories but generally, parents buy these as a baby teepee or a kids play teepee; and this means one positive thing; it’s a cost effective toy/play idea! Ease of Set Up: As it is another concern raised when buying, but there is no need to worry for they are all complimented to have that plus of a stress free assembly and are easily dismantled and packed away. 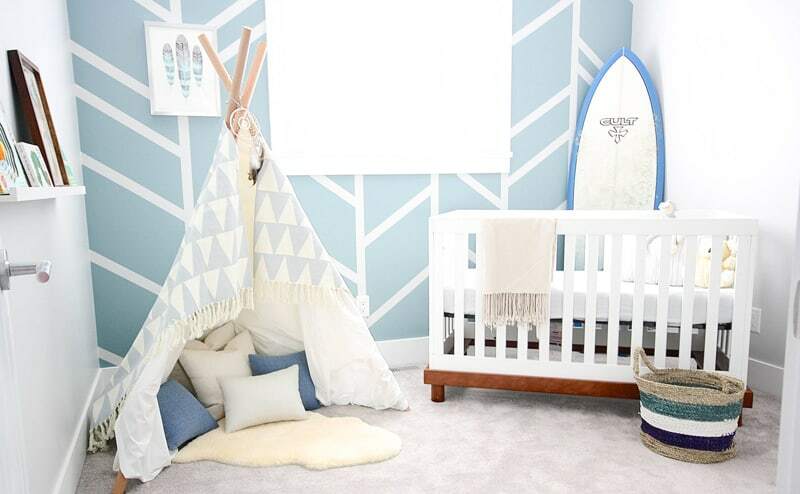 Teepees are the must-have toy right now. 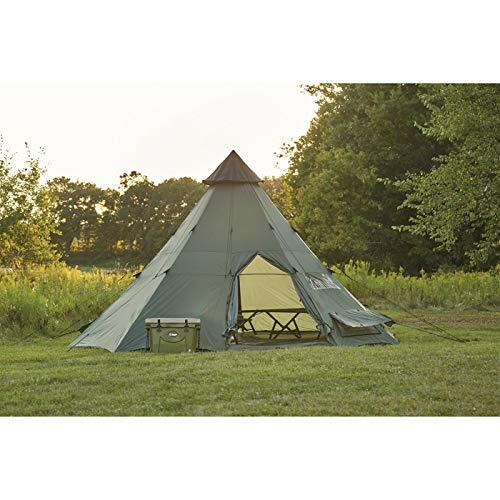 Order right now from Amazon one of these beautiful Teepee Tents! Check out these playful hideaways that fit every budget. 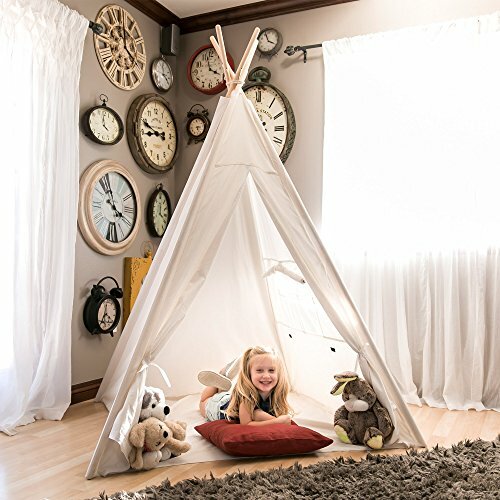 Your child will be able to go back in time and recreate history while enjoying hours of fun and creative play with our 6′ canvas teepee. 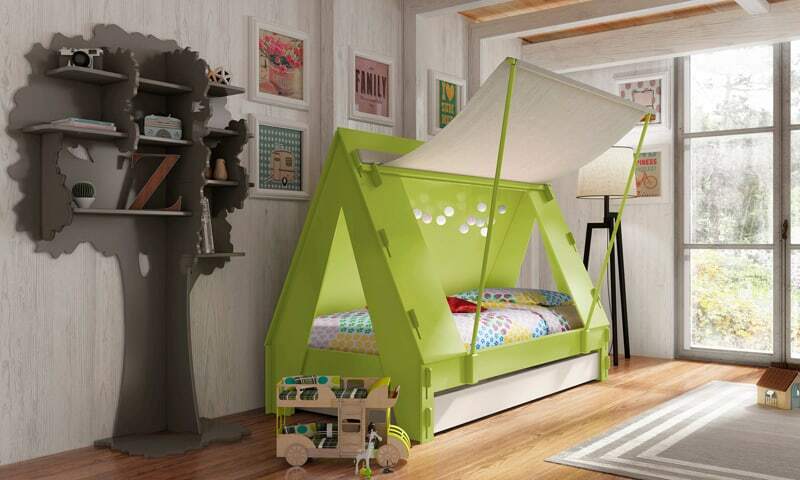 With assembly instructions included, the teepee can easily be set up either inside or out. The canvas can serve as your child’s creative outlet by making it their own with either water or oil based paints. Recommended for children ages 3 and up. Manufactured with superior quality. Recommended for children ages 3 and up. By Trademark Innovations. 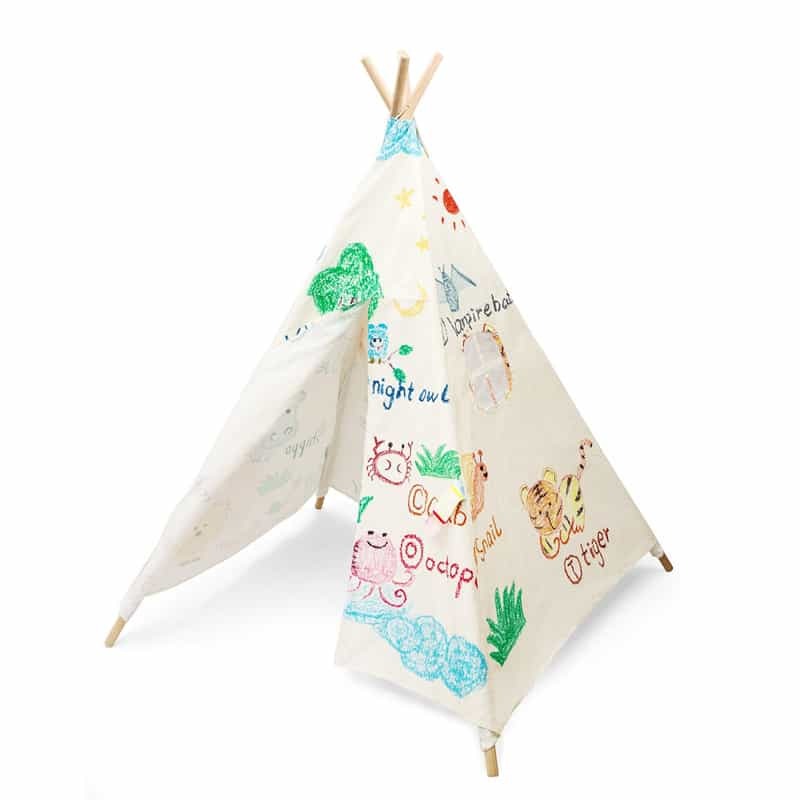 Fun, classic teepee that inspires a child’s imagination to create a world of their own. Adult assembly required. 100% product satisfaction guarantee. 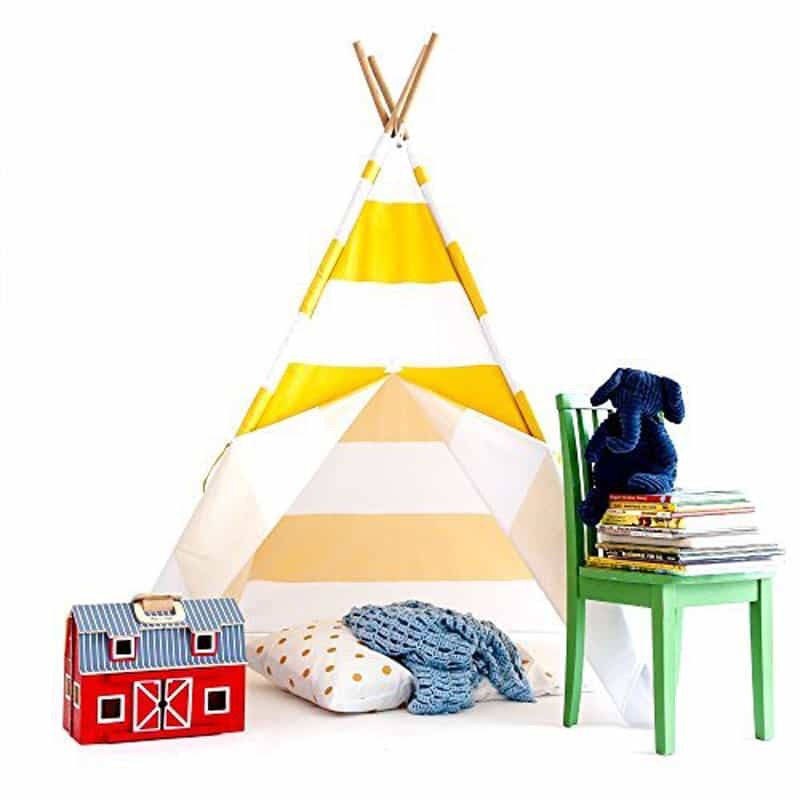 This adorable Teepee is a good gift for Boys and Girls, works Great for Their Sleepover Parties,or a Play House for luxury Playroom Decor.. Add a little excitement to your child’s bedroom! ! Moms will love it because it store easily. Your children love a private place to call their own (reading, drawing, playing with toys …)? 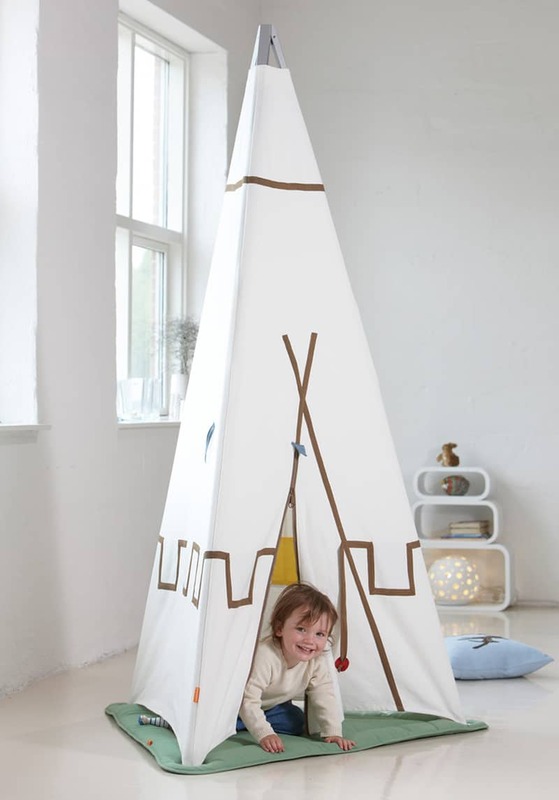 It’s a good gift for boy and girl.They will have so much fun in their own teepee! Moms will love it because it sets up and store easily. Big enough for both grown-ups and children. 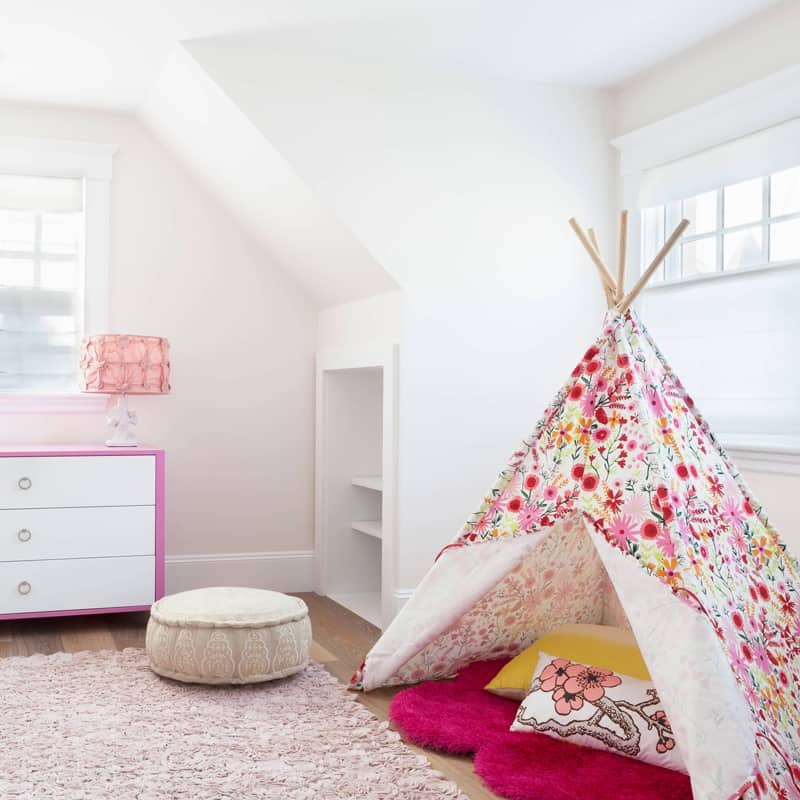 The ideal space for playtime, picnics, beach days, story time and even naptime, your little ones are sure to have hours of fun in Gracie’s Garden – and, although, it may be Gracie’s Garden, the teepee will be personalised in honour of them. 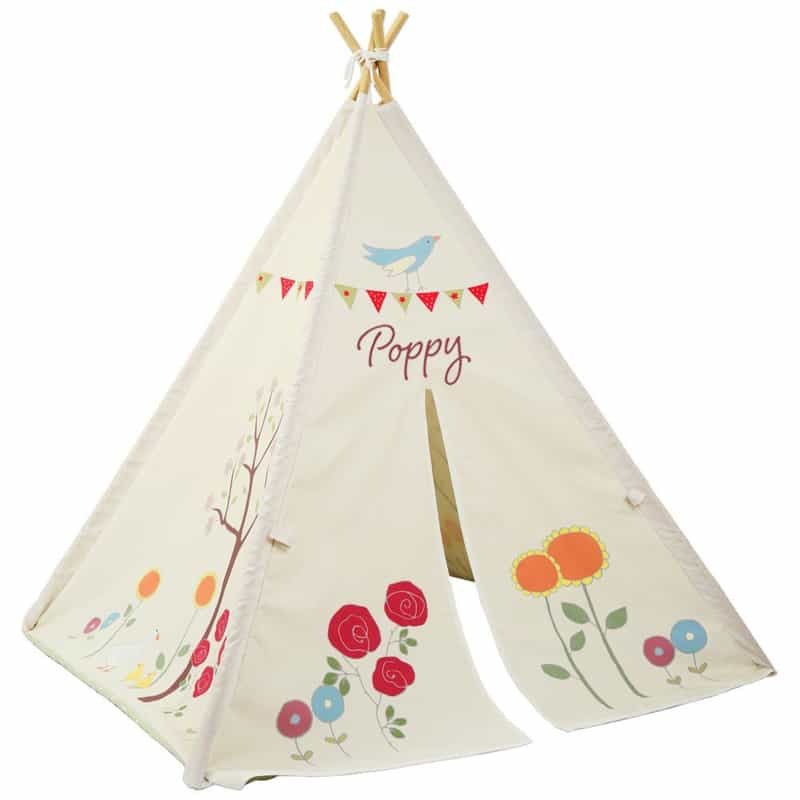 With its delicate flowers, dainty bunting, and even a friendly duck or two, this Personalized Children’s Teepee creates a magical haven of loveliness in any environment, and your child will just love that it’s got their name above the door. 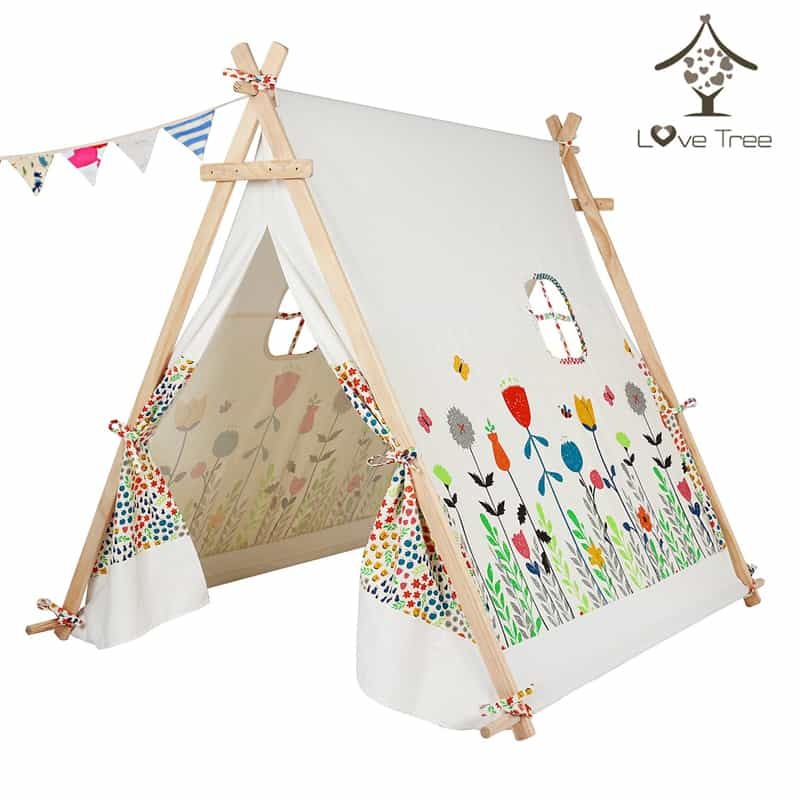 With an endless array of exciting possibilities and adventures to be had, this teepee offers a calming and relaxing space for your little ones to learn, socialise and play, or even take a nap after a busy day of discovering and exploring. 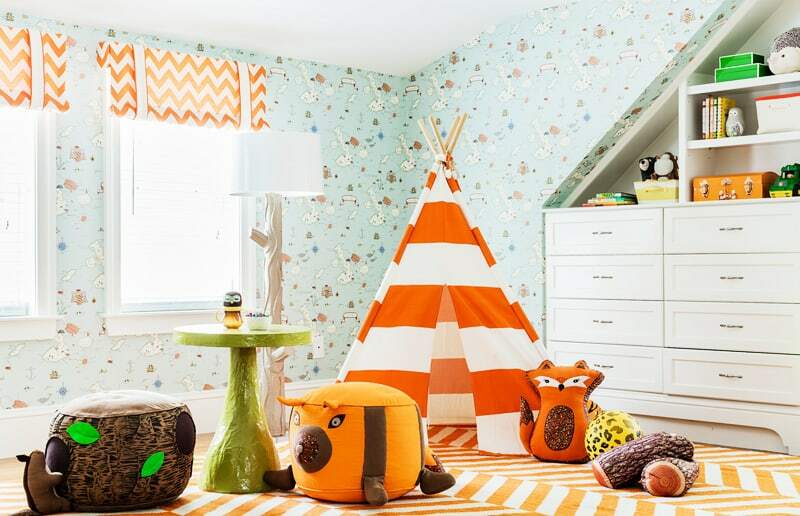 Give your little one a place to adventure with these easy-to-make teepees and tents! Treat your kids to some extra adventure with their very own place to play!